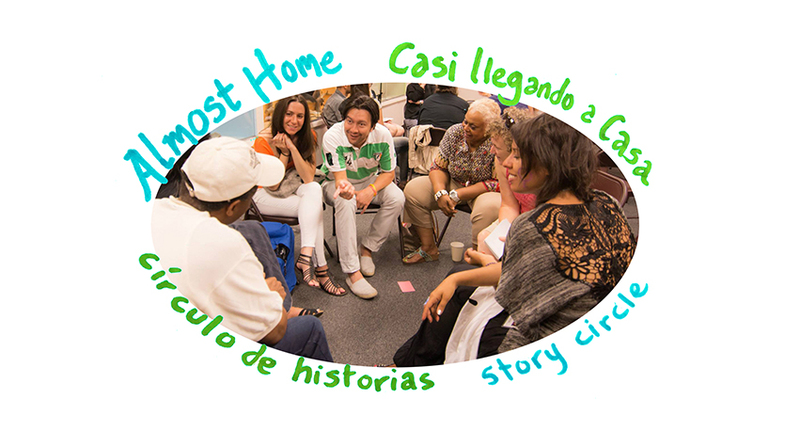 Almost Home/Casi Llegando a Casa is a storytelling, oral history, art, and video series presenting story-sharing and art-making workshops from April-July 2017 in different locations throughout Jackson Heights, Elmhurst, and Corona, and a culminating celebration in January 2018. Exploring the meaning of “home” through telling the powerful stories of the challenges our communities face, and inspiring victories that local organizers have won, Almost Home/Casi Llegando a Casa aims to strengthen community connections through public programs, participatory art, and documentaries that examine themes of vulnerability, resilience, and resistance. 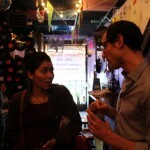 Almost Home highlights the struggles and victories of community organizing against gentrification and displacement, criminalization, and hyper-policing of immigrant communities in Jackson Heights, Elmhurst, and Corona, Queens. 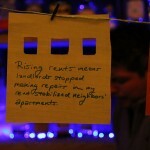 The project aims to support the local organizing movement for housing justice and the human rights of immigrants. 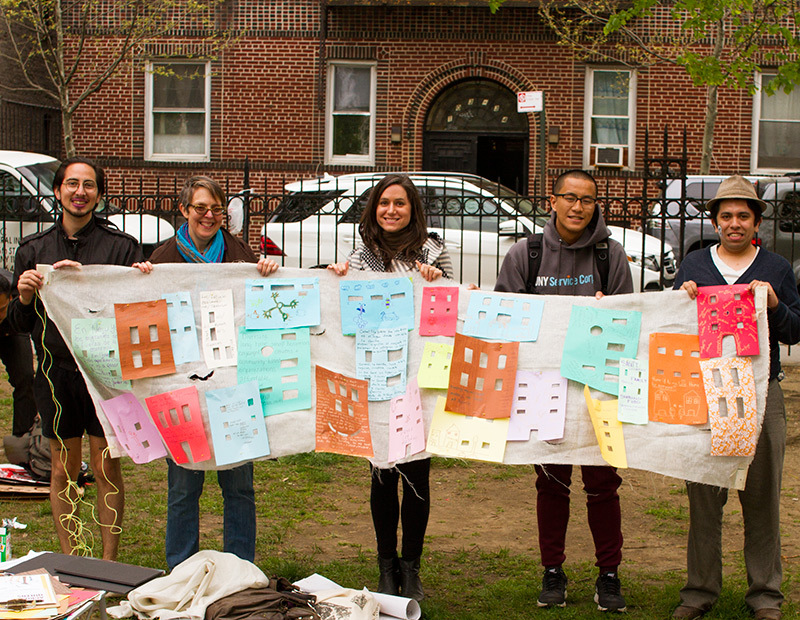 The project was developed by 2016 Engaging Artist Fellows Bridget Bartolini and Priscilla Stadler, with Milton X. Trujillo, in collaboration with Queens Neighborhoods United, a grassroots coalition. The Almost Home/Casi Llegando a Casa culminating celebration features interacitve art, and storytelling, music, and poetry performances by notable Jackson Heights, Elmhurst, and Corona residents who will tell powerful stories about gentrification, displacement, immigration, activism and housing justice in our neighborhoods. 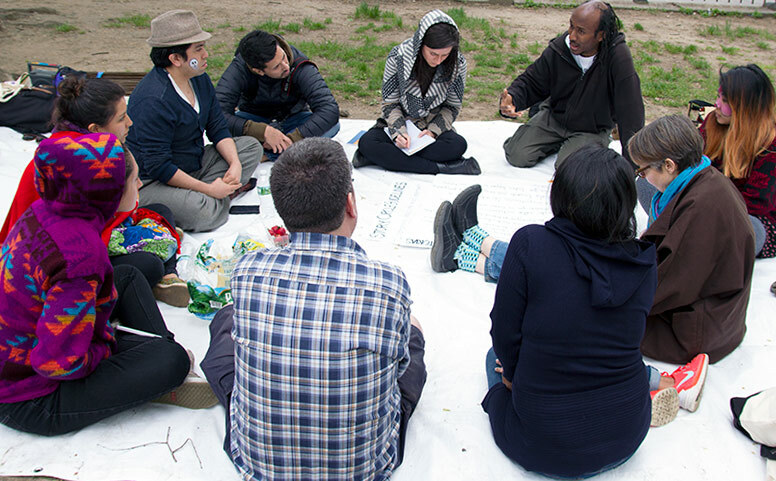 The artists led the second round of story circles where participants shared experiences, listen to each others stories, and discussed the challenges of resisting the forces of gentrification rapidly changing the neighborhoods of Jackson Heights, Corona, and Elmhurst, Queens. 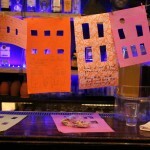 This was a free workshop, open to all, with yummy refreshments from El Toro Bravo. 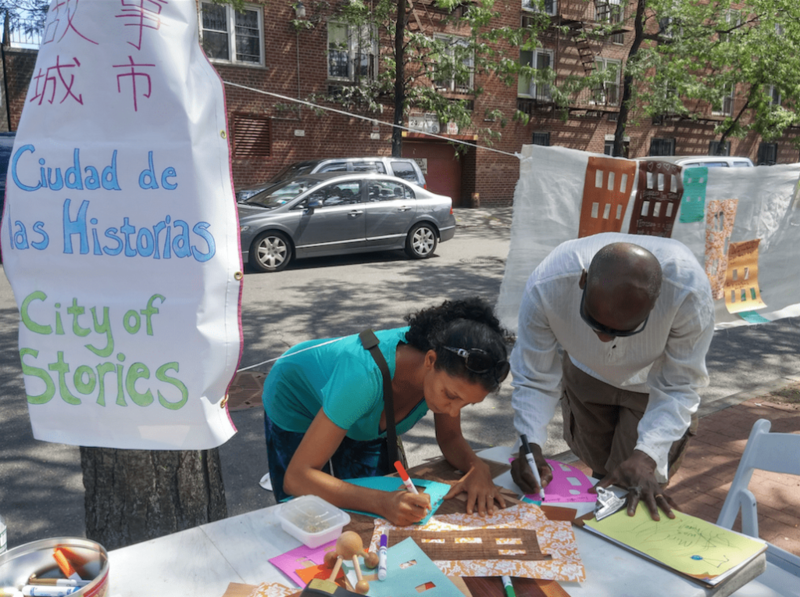 At Queens Se Defiende / Defend Queens, Almost Home joined local community and grassroots groups to offer a story-sharing workshop following a presentation by Queens Neighborhoods United and Queens Is Not For Sale. The presentations began at 1:30pm, followed by a story circle in the park. 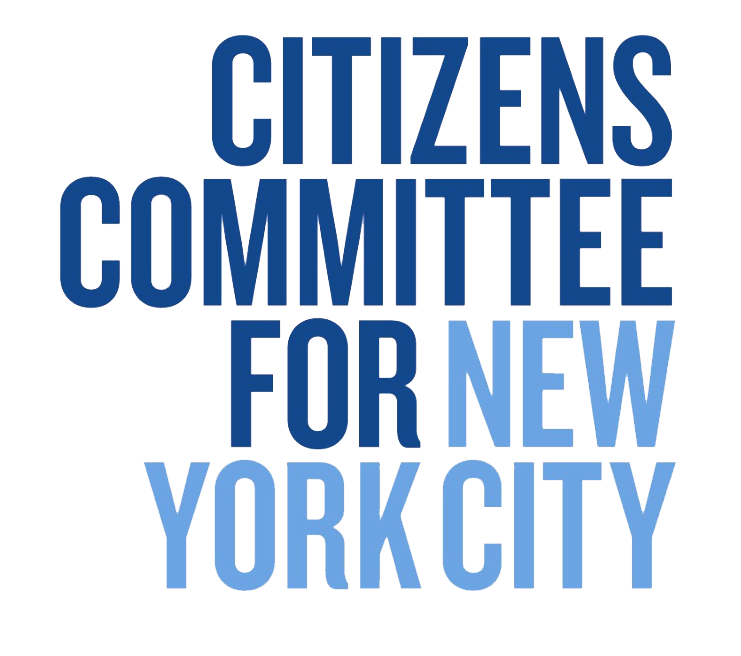 Organized by ICE Free Queens in collaboration with Free University of NYC, this was a day of interactive presentations and family activities. Tell your story, and get free food from our BBQ! 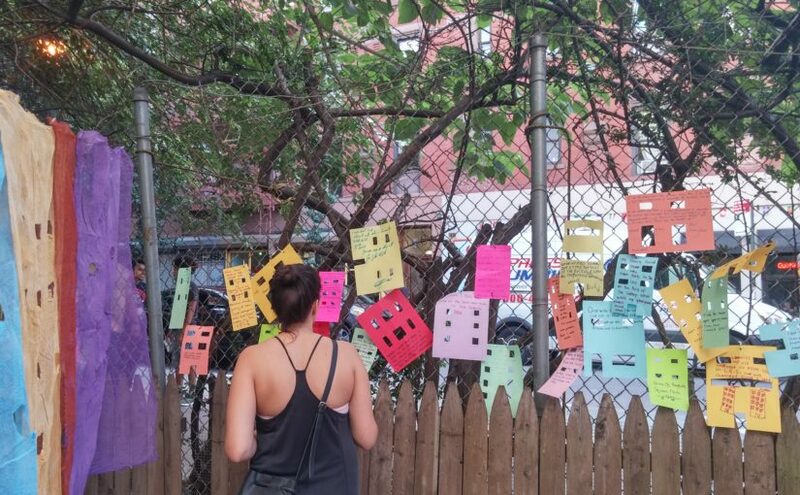 Come enjoy a day in the park, exchange a story for food, meet neighbors, join conversations about our ever-changing neighborhoods, and make your voice part of a collaborative City of Stories installation.